Many of you have been asking about ways to eliminate that annoying back fat that hangs out over and under your bras so we shared some key tips in this article but now we want to take it a step further and share a beginner sample workout plan that will help you get rid of back fat for good. If you follow the tips in the previous article PLUS perform these exercises over the next 8 to 12 weeks you should see a dramatic difference in your back profile. Disclaimer: Before performing any new exercise program consult with your physician first. Perform this exercise routine at your own risk. This workout routine should be performed 3 times a week on non-consecutive days. 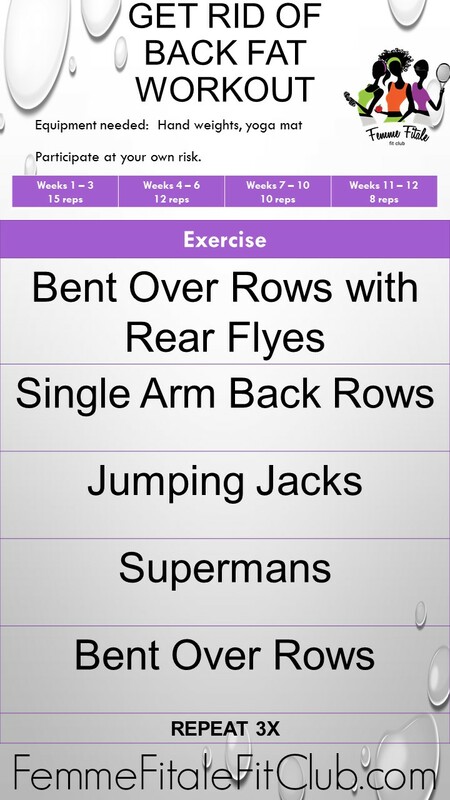 As previously mentioned, perform this workout for the next 8 to 12 weeks consistently to see results. You will need a set of dumbbells and yoga mat (optional). Complete this sample routine as instructed while coupling with healthy eating habits and you will begin to see that back fat and overhang melt away. An additional benefit to strengthening your back is it will help better support your core and you may see your low back pain eventually go away which many of us experience due to poor posture while sitting for extended periods of time at work, in the car on our daily commute or at home. If you stick to this routine take before and after pics and tag me on Instagram @FemmeFitaleFitClub so I can check out your progress. Let’s GO! I’ve also included additional routines below so let’s melt away that fat! 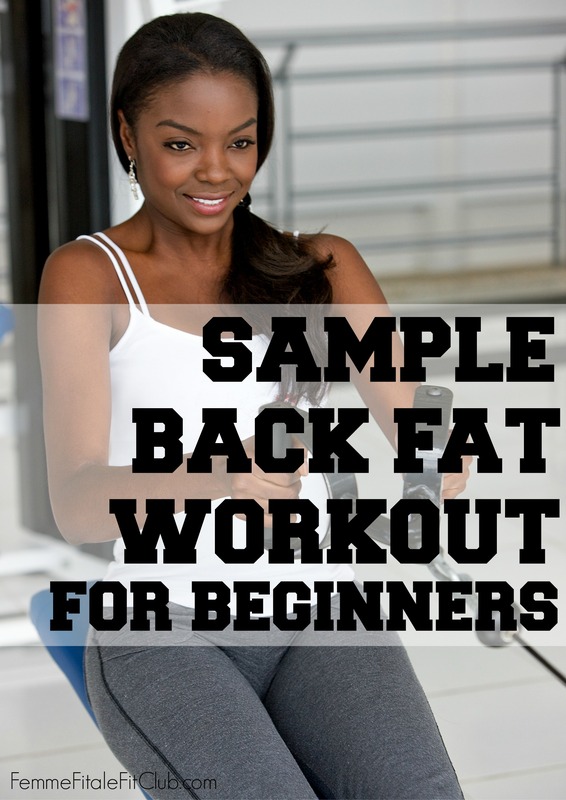 5 Replies to "Beginner Sample Workout to Get Rid of Back Fat"